Dr. Choudhri is an Assistant Professor of Emergency Medicine at the George Washington University Medical Faculty Associates, and the Associate Residency Director for Emergency Medicine at GW. She is also closely involved in undergraduate medical education and teaches a Clinical Skills and Reasoning Course for first year medical students, as well as serving as the Course Director for the Emergency Medicine portion of the Practice of Medicine Course for fourth year students. She is a graduate of the George Washington University Emergency Medicine program, of which she served as Chief Resident during her final year. Upon completion of her residency, she went on to practice at INOVA Fairfax Hospital before returning to GW in 2013. Dr. Choudhri has a strong interest in the education of residents and fostering their growth as they make the transition into independent practicing physicians. 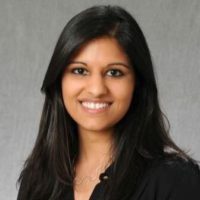 Among her areas of interest, she is specifically focused on intern education and baseline intern assessments, transitions of care and discharging patients, asynchronous and non-traditional learning modalities, and residency recruitment/interview techniques.